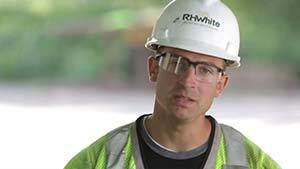 R.H. White is the trusted provider of construction, repair and maintenance services for the Energy, Water, Wastewater, Industrial, Corporate and Institutional markets throughout the Northeast. From distribution piping and regulator/meter stations to 24/7 emergency repairs and operation and maintenance. Design/Build of tank farms, filling stations, impoundment areas and temporary facilities. We construct bulk storage facilities and jurisdictional systems and provide NFPA upgrades and on-site personnel training. Whether you need new construction or repairs and replacement we’ve got you covered. From underground conduit and power distribution to co-generation and micro-turbines we’ve the capacity for your project. From full scale design of treatment facilities and tanks and foundations to process piping and equipment installation and repair. 24/7 emergency service for industrial and municipal water and wastewater treatment systems. Whether it’s cross-connection control or preventative maintenance to inspection services and regulatory compliance we have the professional staff and trades. 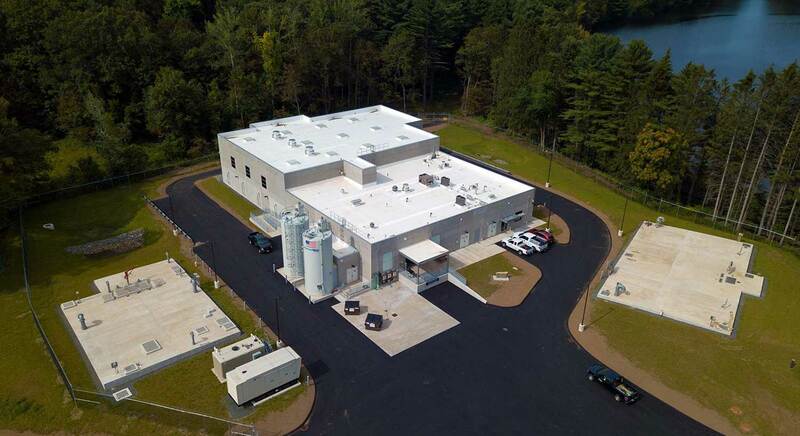 We’ve constructed everything from clean rooms and server farms to testing labs and industrial water/wastewater treatment facilities. From specialty concrete and engineered construction to mechanical systems and process piping. Our highly trained, skilled staff is extremely proficient in the design and construction of process control environments. From bottling plants to meat processing plants we’re highly qualified mechanical construction as well as equipment rigging and installation. Our philosophy is from project inception to finished construction and beyond with facilities assistance, maintenance support and 24/7 emergency response. From design/build and construction management to fit outs and full-scale renovations. We provide complete construction lifecycle solutions from preconstruction services to in-house facilities and maintenance assistance as well as emergency response. From new building construction and underground utilities to water and wastewater treatment facilities we’ve received high grades. Whether it’s new construction or renovations and remodeling our expert trades have a prescription for it. From full-scale design/build of the facility to construction and installation of the mechanical systems we’ll ensure peak performance. We’re with you from project inception to finished construction and beyond with maintenance support and 24/7 emergency response. We have a long history of installing, maintaining and repairing all underground utility systems and storage tanks and we’ve completed close-tolerance and heavy-duty jobs other contractors avoid. From this 25,000 gallon-per-day treatment plant to large corporate office building construction or water main replacements and small office renovations we’re at your service. With 600 employees, including in-house craftsmen, and a fleet of state-of-the-art equipment R.H. White is the team for your project. Our ability to self-perform the installation of pipes, pumps and process equipment as well as our concrete competency set us apart. We self-perform the majority of work on any of our building, mechanical and underground utility construction projects. Under the direction of our four full-time safety officers, we provide ongoing safety training, site-specific safety plans, and routine analyses of job-site safety. We develop long-term business relationships going beyond project completion. From industrial and municipal water utility management and supplemental facility services we’re here for you 24/7.